September seems to have brought with it colder temperatures, but the blue skies haven't completely disappeared. 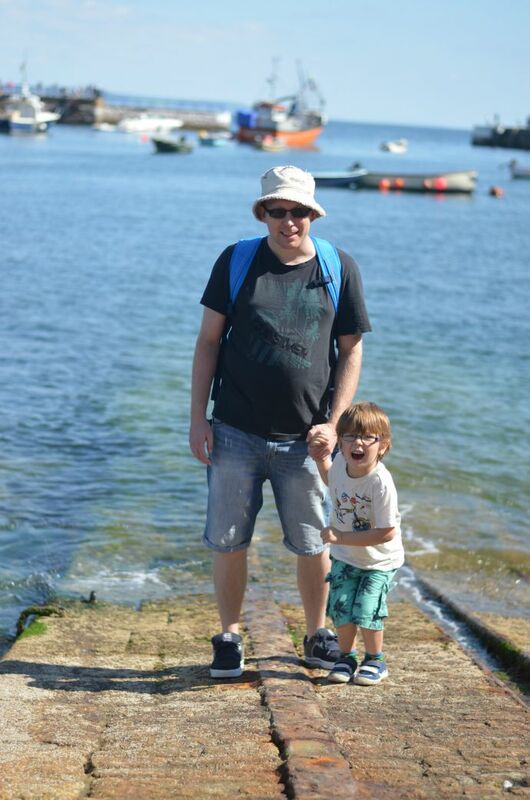 We spent a day at Mevagissey in Cornwall this weekend, a little seaside village based around a harbour, and we had glorious sunshine all day. The village is nestled in a small valley around 5 miles from St Austell. 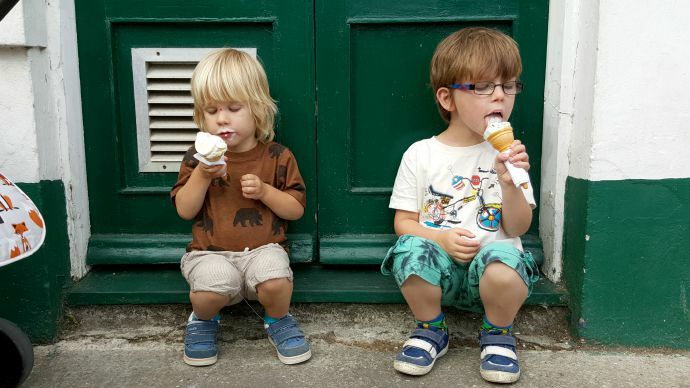 The streets are cobbled and narrow, the views vast and blue and the ice cream authentic and Cornish. 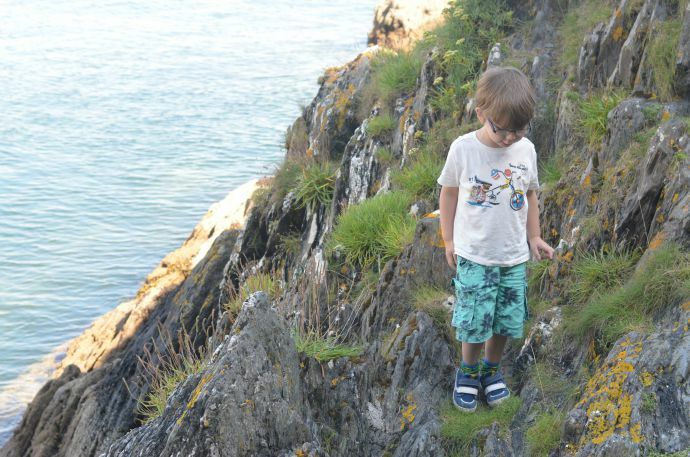 There was plenty to explore with the small folk, dylan loved the rugged cliffs that were so different from the white chalk we have at home. 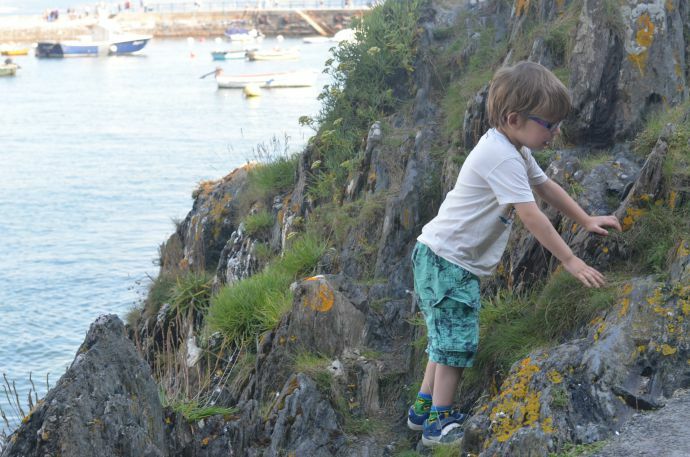 There was plenty of opportunities for climbing, which we made the most of whilst Archie and Finn were snoozing in the buggy and sling. 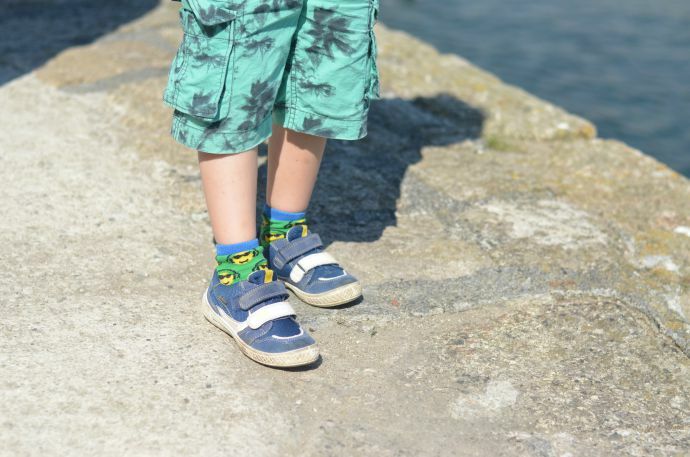 Dylan's Goretex shoes were perfect for our little adventure, they had great grip on the bottom and the waterproof breathable fabric was ideal as we got closer to the water. 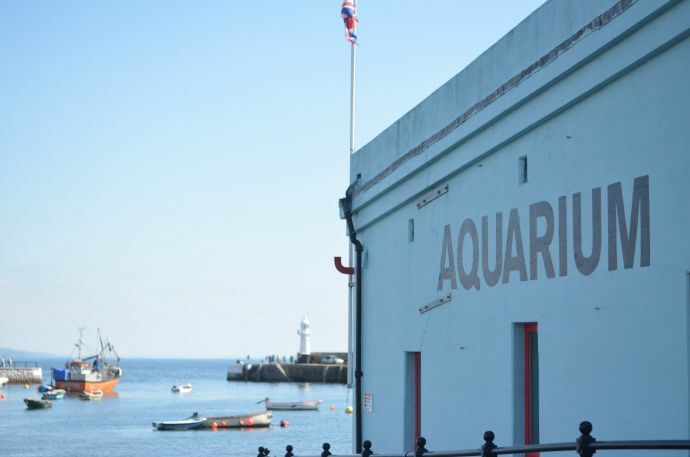 We found what may well be the world's smallest aquarium with only 8 enclosures, but Dylan loved watching the fish and lobsters explore their tanks and the voluntary donation payment meant it didn't cost much to look around. 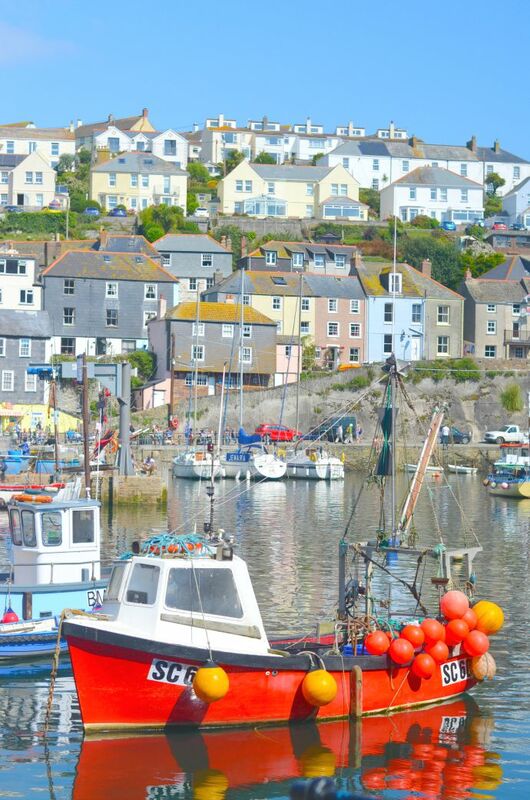 The village was stunning, with pastel coloured houses surrounding the harbour, and we loved watching the boats coming and going. 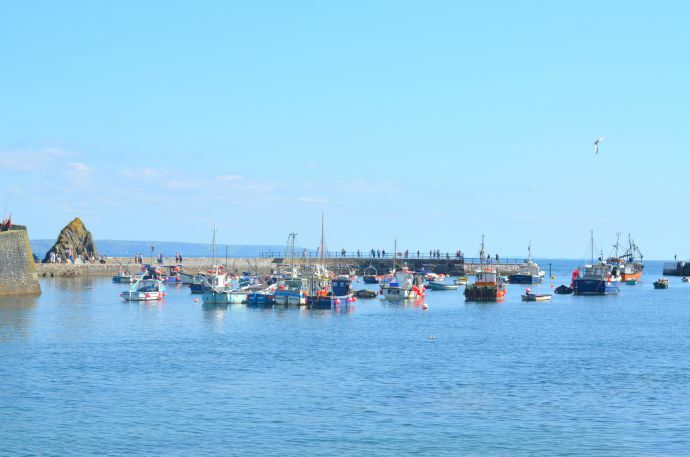 You could walk all around the harbour, and there were plenty of people both in boats and on the harbour walls fishing. 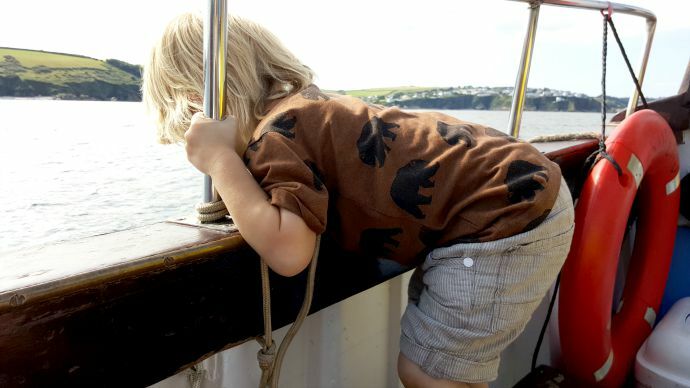 We decided to take a trip on a little boat around the bay - not an easy feat when you have to walk down steep stairs with no handrail carrying a buggy, but once we were on the boat the boys were captivated. 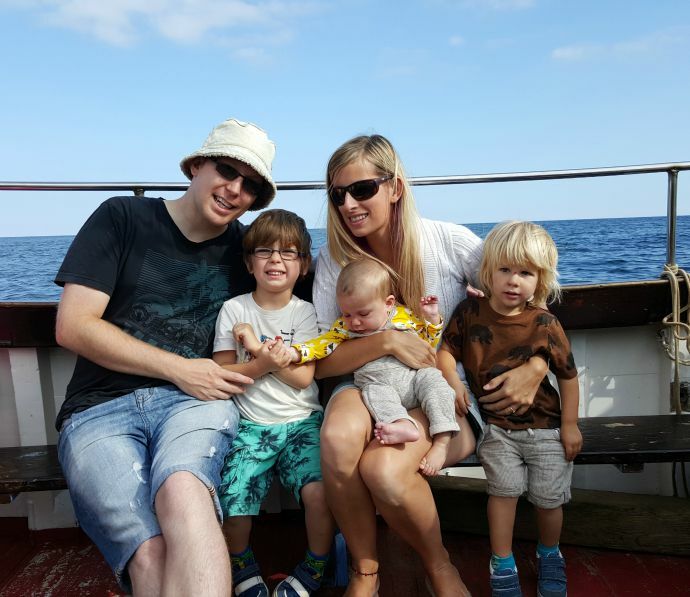 We spotted seals and plenty of seagulls and the big two waved at everyone else we passed out on the sea. Archie couldn't get close enough to the water, and I spent most of our half hour trip hanging on to his ankles to stop him climbing in for a swim! 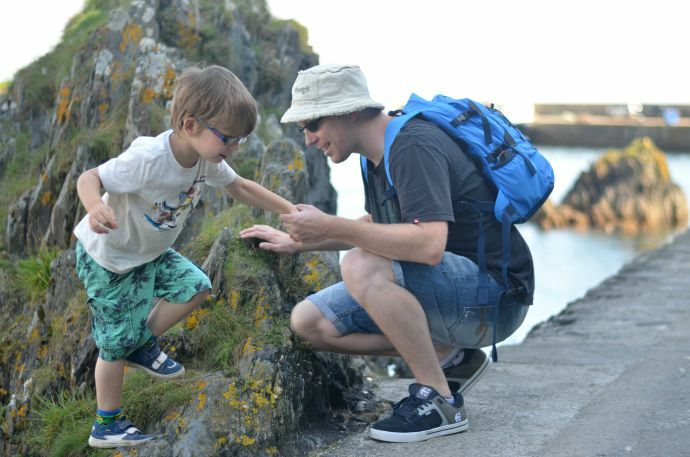 He had on his waterproof Goretex shoes too which are perfect for my little adventurer - he is always first to jump in a puddle, dip his feet in the sea and climb over rocks, and his shoes keep his little feet dry, comfortable and well supported. No trip to the seaside is complete without ice cream, and being in Cornwall so of course we had to find some authentic Cornish ice cream. 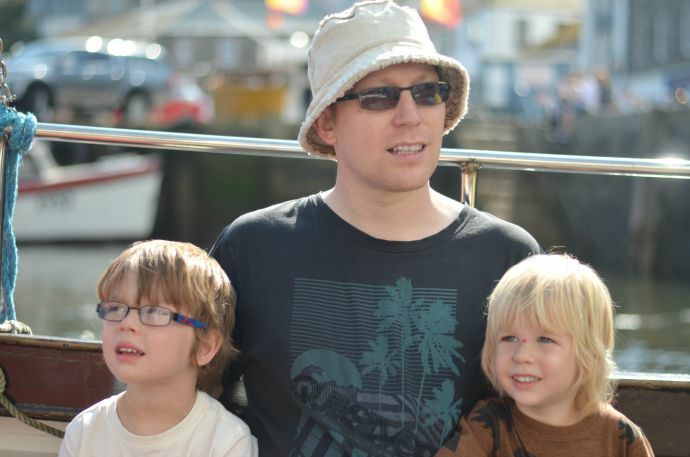 Mevagissey is a beautiful village and despite its size we managed to enjoy an entire afternoon there. Just watching the world go by is enough to entertain for a while and the benches around the water were always full of onlookers. Disclaimer: We were sent some Goretex shoes for our summer adventures.